We are excited to share our most recent edition of the Transsolar Newsletter. Customized especially for clients, collaborators and friends of our New York office, this is where we share our thoughts on interesting projects, ideas, and initiatives. 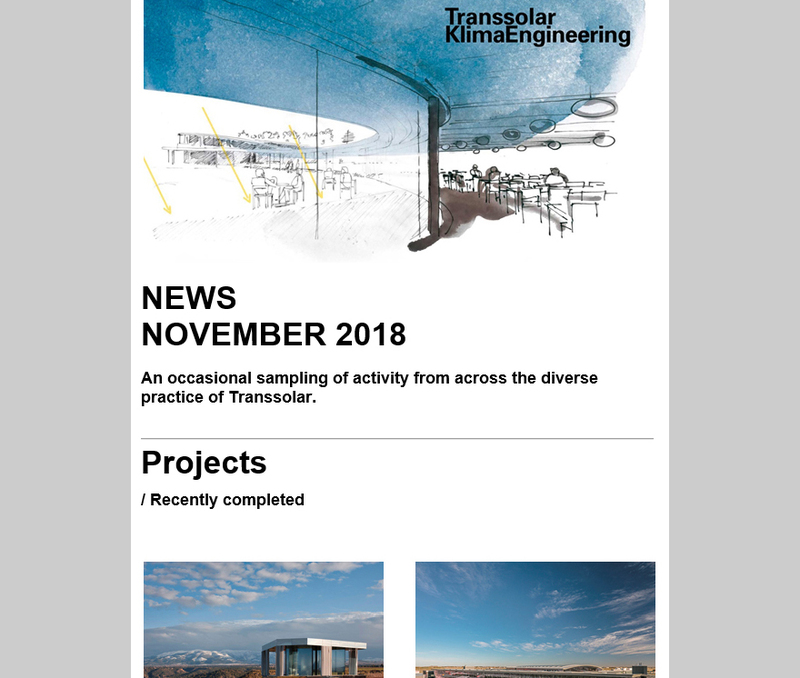 If you’d like to receive our quarterly Transsolar Newsletter, please enter your contact information here.